Body is 10" and has weighted bottom, overall length 30" long. 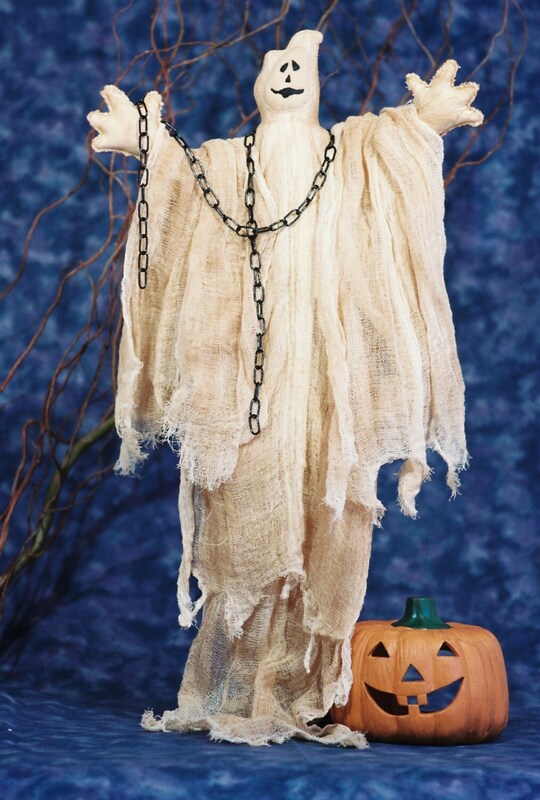 Body is muslin covered with cheese cloth and has a chain draped around his neck. He can easily sit anywhere. Very easy to make. E-Pattern complete with easy to follow instructions and materials list.